If you are planning a party for your little fellow’s birthday you might want to come up with a theme that the boys will enjoy. Racing Cars: Little boys love the thrill of racing cars. Having a racing car theme will get their little motors running so they can all have a great time. Racing cars allow you to create a theme party without much effort. Cars in general are available in a number of party themes so it will be easy to find all the party favours and décor items you need. You can also find a fun cake and spend time go-karting with us, which will be the ultimate little joy ride for the boys. Your little one will be thrilled at the idea of this boys party idea and it will get his heart racing with anticipation for the day to arrive. Super Heroes: Of course super heroes are a big one as well. You can do a lot with the super heroes idea including investing in a number of costumes. To avoid disputes you can have children select a superhero from a hat and that is the costume they can wear for the day. You can then plan fun activities that will allow them to practice their super hero skills. Complete the day with super hero inspired loot bags and a super hero cake of your child’s choice. Pirates: Pirates are always a popular choice as well. Pirate parties are plenty of fun with the chance to dress up like little sea dogs and participate in some pirate fun. 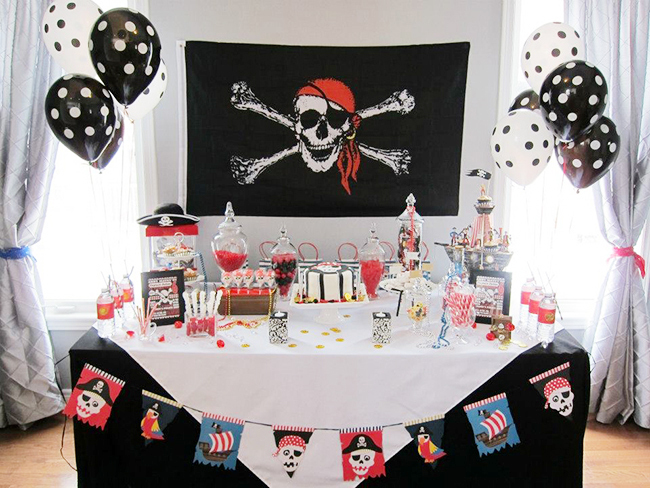 Many parents plan pirate parties with fun activities like sword fights using plastic or foam swords and you can also have fun with some treasure hunt ideas as well. Think Easter egg hunt using gold doubloons. Football: The footballer party is always popular and can include football cupcakes, some fun activities in the garden or at a park and of course plenty of skill testing manoeuvres and training games. You can create some mini nets for kids to practice goals and have dad in net for fun or just allow kids to test their skills at getting the ball between some pylons. Boot Camp: This is another fun idea where kids can be given camouflage face paint and you can create some not too challenging exercises for them to try. The key word here is fun and coming up with an easy obstacle course that will allow kids to crawl, run, jump and climb will keep them occupied for an hour or so. You can even involve water in the games if it is an extra hot day with practice using water guns or just involving sprinklers or a wading pool they have to splash in as part of the course. All of these ideas are certain to be a big hit with the lads and keep them occupied until it is time for cake and gifts.